Learning to play a musical instrument can be the doorway to a lifetime of enjoyment. Whether you prefer the camaraderie of learning with others in a class or the one-on-one focus of private lessons, we're here to help you get started! 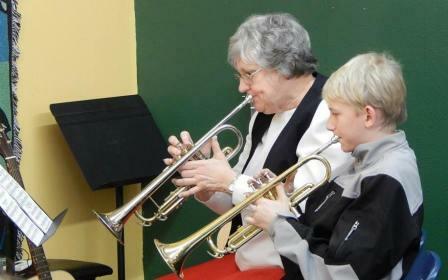 Our teachers recognize the value of patient, caring instruction, and are dedicated to your musical success. Explore our offerings, and call us if you don't see your area of interest. If we don't teach it, we'll do our best to connect you with someone who does! c. 2017 Grand Staff Productions, Inc.